We all know by now the danger that you are exposing yourself to when you are using a Galaxy Note 7 phone. Or when you are charging it. Or when you’re touching it. Bottom line is, it could explode at any moment. But the question that’s burning (no pun intended) inside our minds is: why? Why is such a popular brand of smartphones so poorly executed? And why did they even release it? After more than 35 incidents that involved burning phones were reported, Samsung has decided to recall every single Galaxy Note 7 ever sold. Brave, aren’t they? Firstly, we need to know some basic things about batteries. The Galaxy Note 7 phones are using lithium ion ones (exactly like the hoverboards). Bad luck makes it so that the liquid that’s inside the infamous battery is extremely flammable. This makes it an actual bomb. So if the sheet of plastic that separates the positive side of the battery from the negative one happens to break, the liquid electrolyte heats up. And if it’s quick enough it can even make the battery explode. Ta-dah! Ok, this isn’t the first case of exploding phones. Remember Nokia? The same thing happened to them in 2009. Exploding phones have even killed some people unfortunately. It all happens because of the highly flammable lithium ion batteries. But companies continue to use them because of their small size and weight. They are useful, but it seems like they are also dangerous. Statistically speaking, this problem affects less than 0.01 percent of the Galaxy Note 7 phones. So the probability that you may have a burning volcano in your hand right now is very slim. Reportedly there have been 92 incidents in the U.S., 17 in Korea, 1 in Taiwan (that poor unlucky guy) and 2 in Australia. The easiest explanation for these fiery phones is the fact that Samsung has squeezed its batteries in more than it should have. 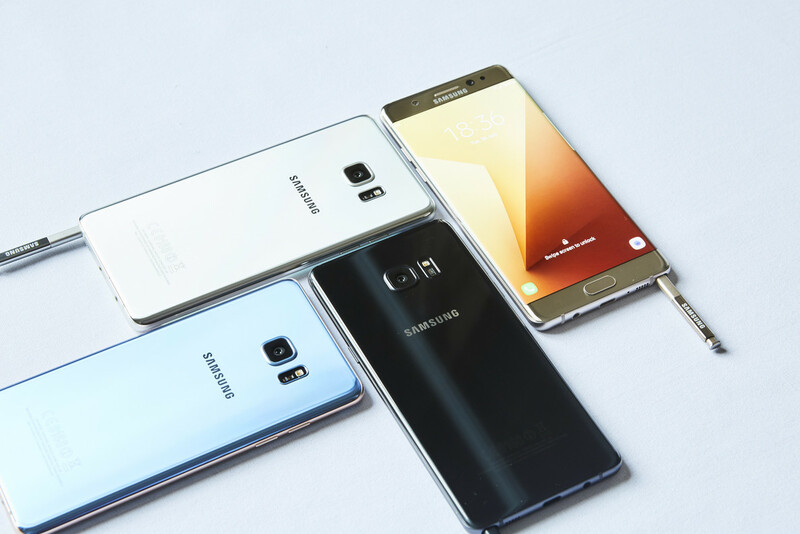 It is believed that Samsung faced a manufacturing error in this regard. Too much pressure was put on the battery. This brought the positive and negative sides in contact. And this led to the Ka-Boom part! Why are they exploding only after being charged? One of the most interesting things is the timing of the explosions. Why aren’t they exploding right when they start charging? It seems like they only do it after the phone is completely charged. Normally, a phone’s battery is hotter when you first start charging because it needs to pump more electricity. An interesting theory is that the phone doesn’t recognize when it’s 100% charged so it continues to charge until it explodes. It actually makes sense. We are debating some theories but we don’t know the truth yet. And we may never know it. But one thing is sure: if you have a Galaxy Note 7 in your pocket you’d better return it. Samsung confirmed that the replacement phones will have a different battery, from a different supplier. Or you can go and simply buy yourself another phone. Or exchange it for another Samsung model plus the change. Whatever the case may be, don’t live with a bomb in your house. You might get burned!